This stunning project with gorgeous luxury villas in Cyprus is one of the most beautiful properties in Cyprus. The brand new complex with these impressive luxury villas in Cyprus is perfectly located right on the Mediterranean Sea. The beach is only a few steps away. In addition, you have an unlimited sea view and even to the mountains of Turkey. This is a unique opportunity that you should not miss. 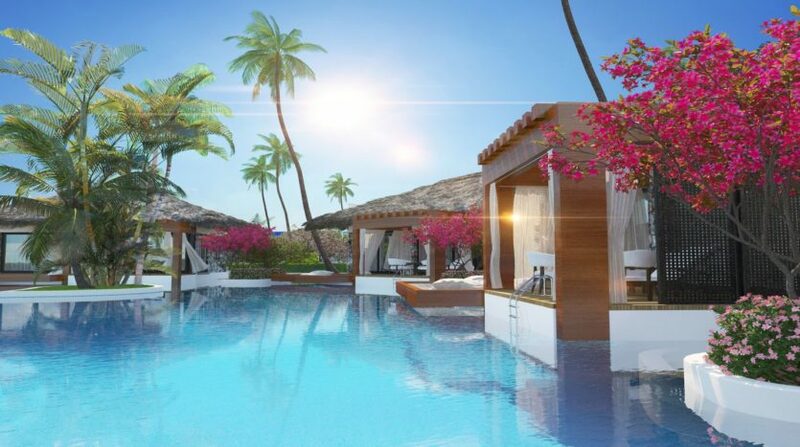 Maldives Homes offers a total of 56 units that include 1 or 2 bedroom apartments. Some of the garden apartments have direct access to the communal pool from its veranda. The penthouse apartments have their own terrace where you can enjoy sunbathing and your privacy.